Today was Bashir's birthday. 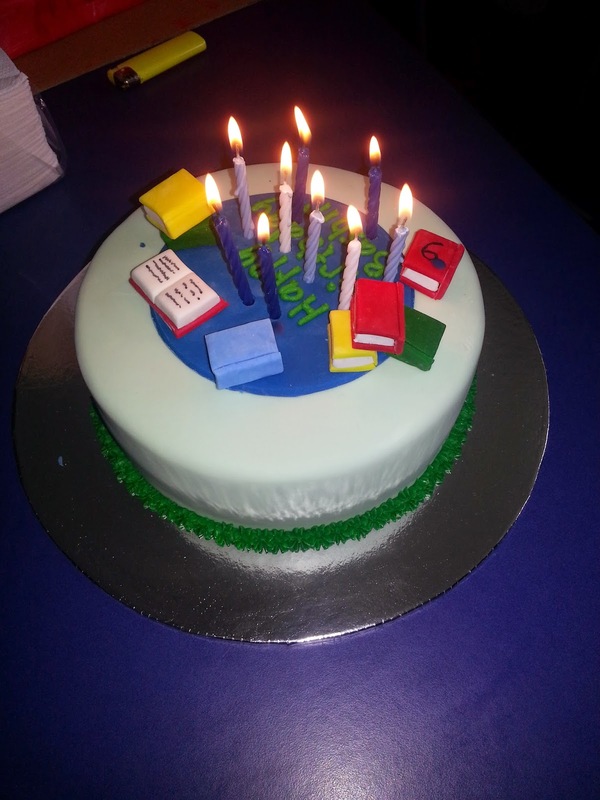 He brought a library cake to share with the class. Thank you, it was delicious.